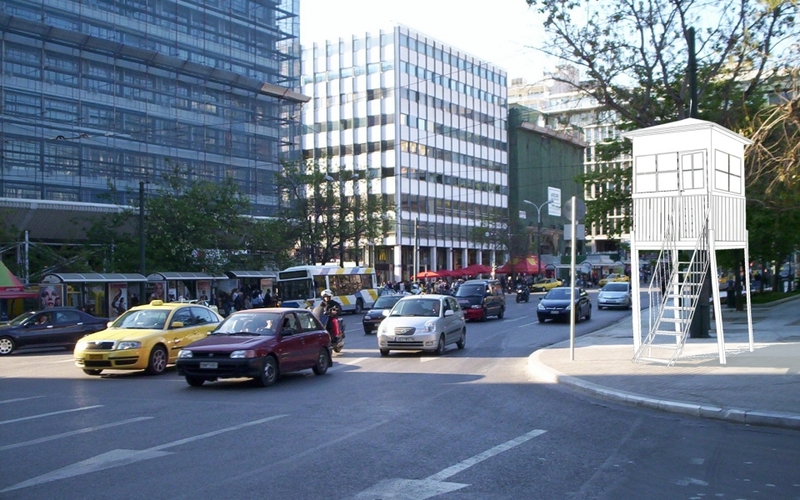 The kiosks, an integral part of the greek urban landscape, are mainly a postwar creation of the greek state as a form of indemnity for the rehabilitation of the damages that were produced by the war. The state offered a part of the public space to unfortunate citizens, physically disabled and war victims. That is to say ground for a loss. 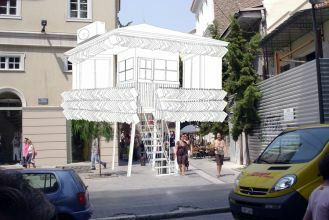 The proposal of the new kiosk is based on the reformation of its prototype core, its deterritorialization. The new kiosk is elevated letting free the horizontal surface of the public space. It is transformed in a meta-structure with pilotis, a contemporary observatory, a possible bus stop, a hotspot, which together with the rest of the meta-structures consist a network that is spread all over the city, in order to become the draws of the new communication.